The WCA Student Group has been hard at work throughout the year putting together USC’s Third Annual Feminist Media Festival! The festival will be held on Sunday, April 7th with events taking place from 1:00pm - 7:00pm. 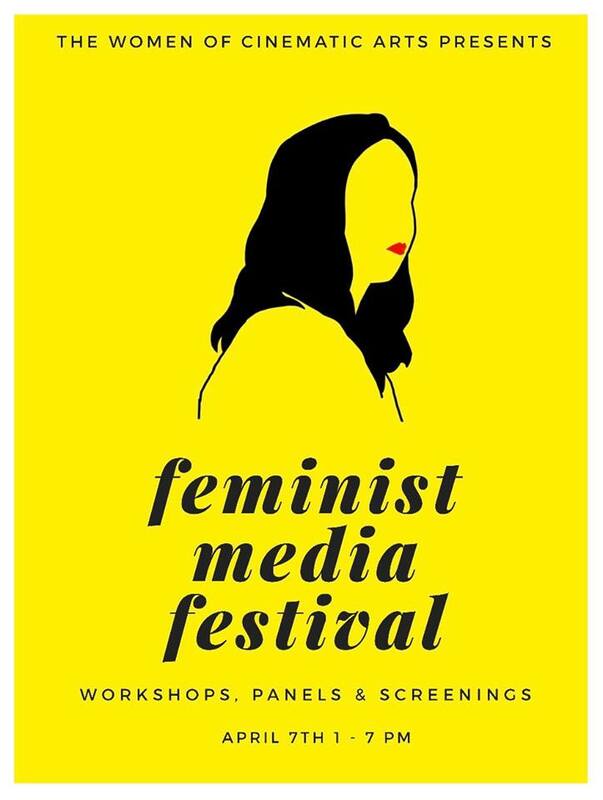 While we encourage you to go to any events that interest you throughout the program, we especially want to have a large showing at the Feminist Media Festival Screenings (5:00pm-6:30pm) and Post Ceremony Networking Event (6:30pm-7:00pm). The students have worked incredibly hard to put together an awesome program and we want to show them that their hard work is valued by their future peers and mentors. Let’s support future women in film by packing that theater and filling up the networking event! WCA is excited to present its Third Annual Feminist Media Festival Screenings and Award Ceremony. After the screenings stick around to schmooze with the filmmakers and fellow festival goers; plus, hear the Grand Prize winners announced by our industry judges as you snack on some food and sip on some drinks (watching movies is exhausting)! Close out the night by meeting your fellow women of cinematic arts and hopefully finding your feminist filmmaking crew!! The full line-up and RSVP information can be found here.